The new South Loop bar Square One wins at least in the sweepstakes of salesmanship vs. quality: its website suggests a classy spot with a diverse selection of drink and an admirably limited menu to nibble off of. Well, the drinks are there—we chose beer from California's Bear Republic off a list of respectable brews, wines, and intriguing-looking (though, at $11 a pop, pricy) cocktails, which lean largely on fruit juices. The "small bites" are a la carte, with cheese and cured-meat options; our brie and mortadella arrived together on a little slate, accompanied by slices of what they call "French" bread in the Jewel bakeshop, a dab of grainy mustard, and some vinegary green beans, or "pickled haricots verts," per the food runner. 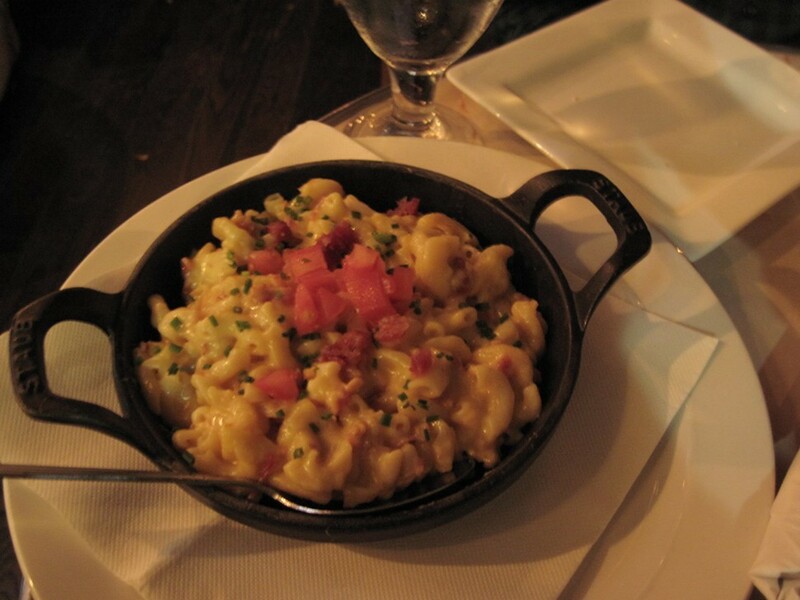 On to larger issues: sweet, gooey pork sliders soaked through their little buns, and a grainy, unremarkable mac 'n' cheese came studded with chewy bacon and topped for some reason with a bit of grainy, unremarkable tomato. Caprese salad, fish tacos, and warm goat cheese with marinara are other middlebrow favorites that make the menu. The music's loud and the TV projected over the bar would fit the rough dimensions of my bathroom.